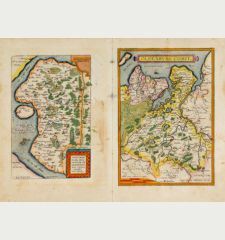 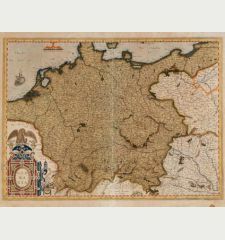 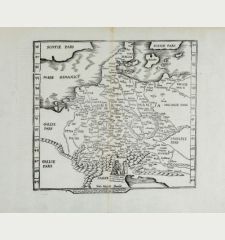 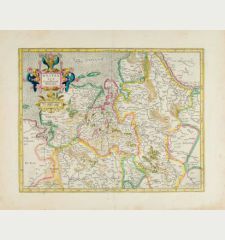 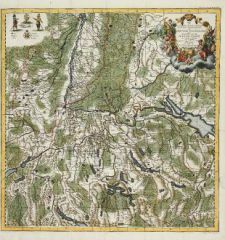 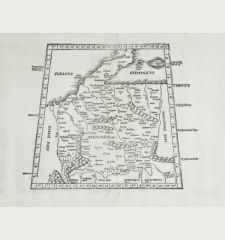 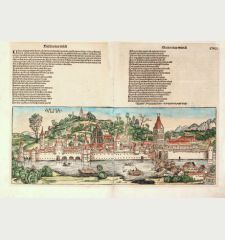 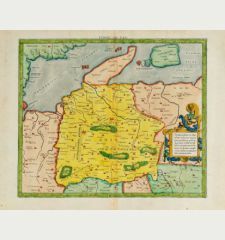 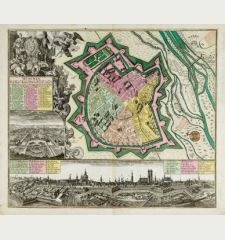 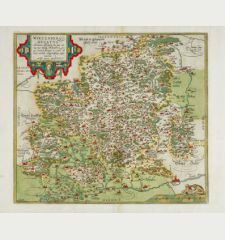 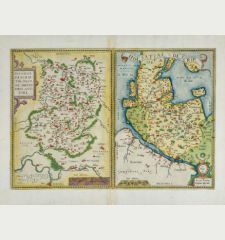 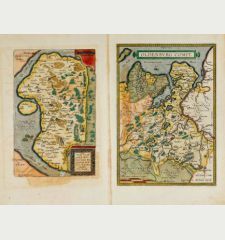 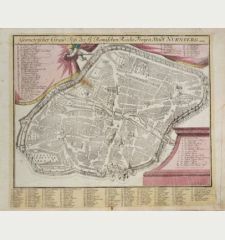 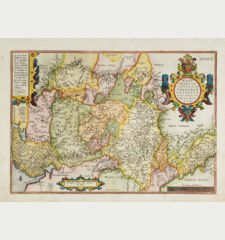 Antique map of Pirna, Saxony. 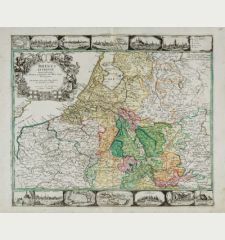 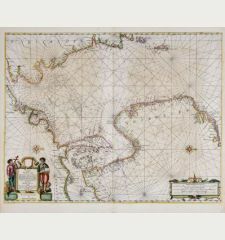 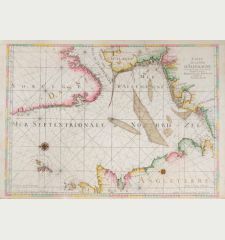 Printed in The Hague in the year 1758. 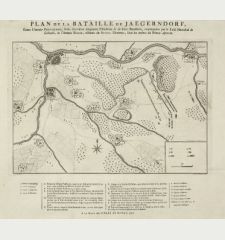 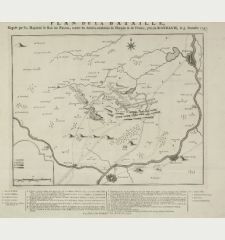 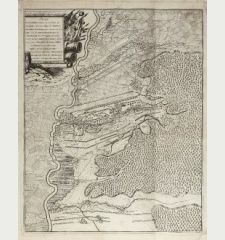 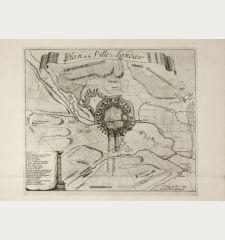 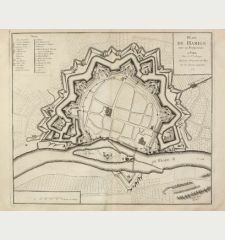 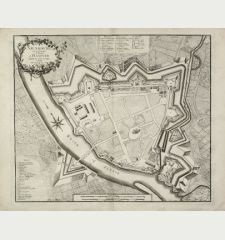 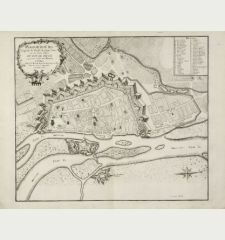 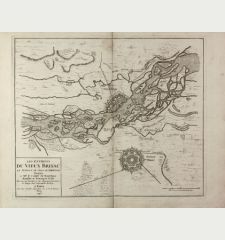 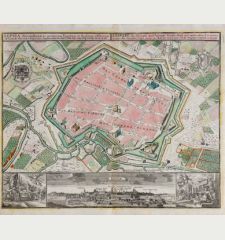 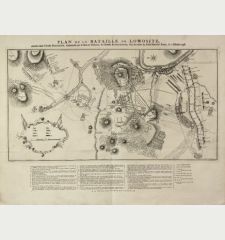 Rare Military Plan of Pirna (Saxony) during the Seven Years' War by Pieter de Hondt. 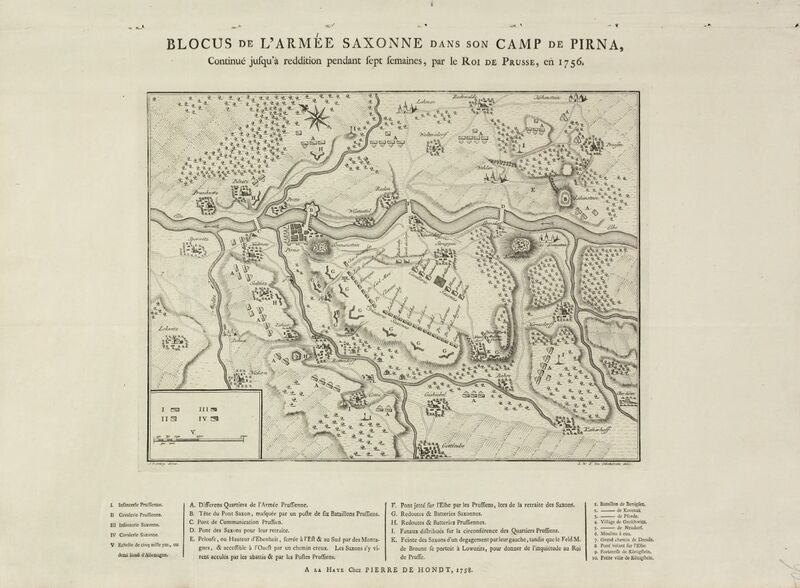 Showing the siege of Pirna at the beginning of the Seven Years War in 1756. 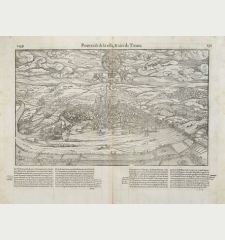 After L. W. F. Von Oebschelwitz, engraved by J. V. Schley. 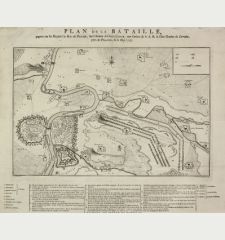 French letterpress title above, a letterpress key beneath from A to K, I-V and 1-10. 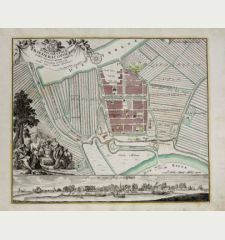 Title Blocus de l'Armée Saxonne dans son Camp de Pirna, Continué jusqu'à reddition pendant sept fermain, par le Roi de Prusse, en 1756. 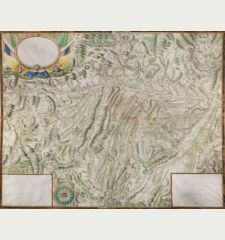 Evidence of old folds, small holes from binding in top margin. 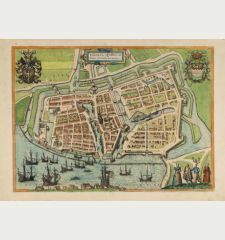 Pieter de Handt was an famish publisher active in The Hague during the 18th century.